The photograph on the top lid of box was taken by me in Huntington Beach California. This box has been stained a dark oak color. On the inside I have decoupaged some pretty blue and white paper. 3 x 5 and 2.5 inches deep. 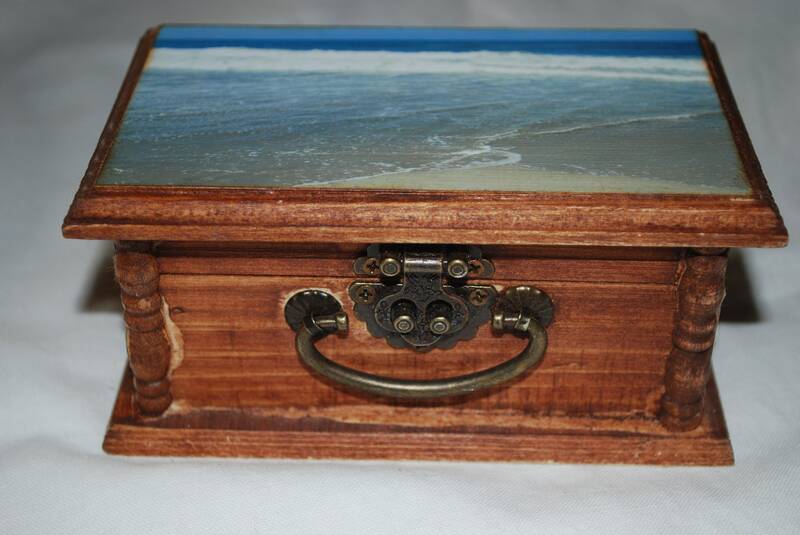 This can be used as a keepsake box, memory box or treasure box. Whatever you decide it was designed for the beach girl at heart!